Home » destroyer , discount , doubloons , giveaways , premium , world of warships » World of Warships Deals - Spend Doubloons and Get The T-61 Early. 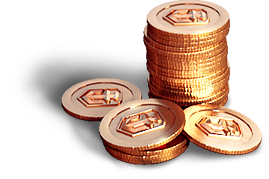 World of Warships Deals - Spend Doubloons and Get The T-61 Early. VI T-61's homecoming is finally on the horizon! 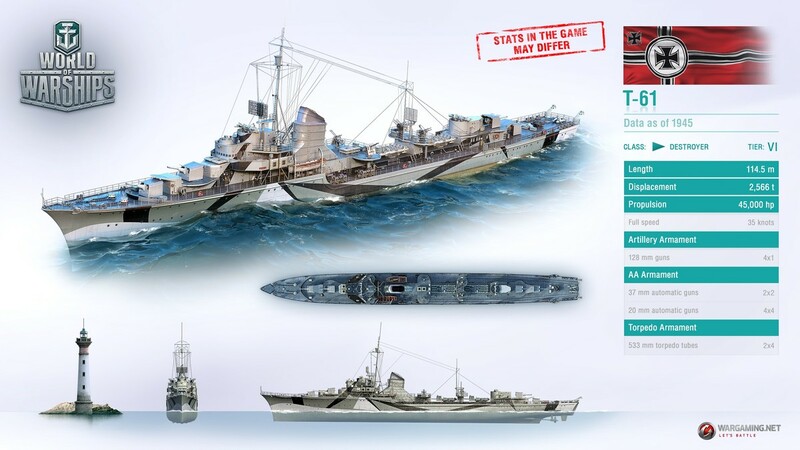 Get early access to the coveted German Destroyer a full week before the official release on the Premium Shop! Important: Click the button below to participate in the event. The button above is for the EU region, Go to your regional website/news column for your button. Flying Dutchman - Having a low base detectability range, T-61 can be outfitted to roam the battlefield like an unseen ghost. 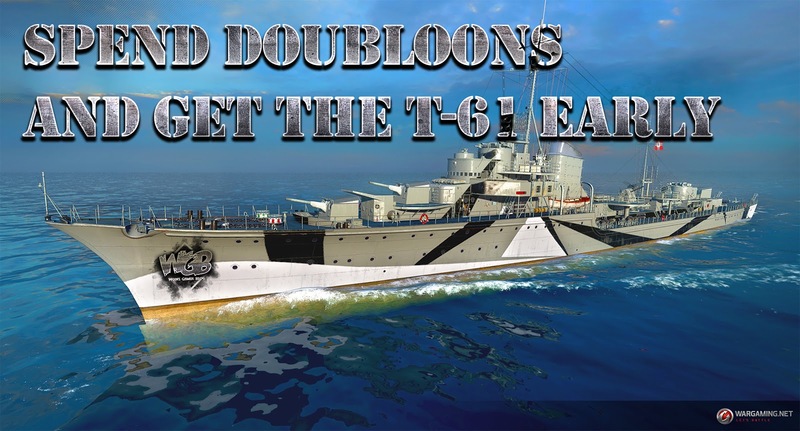 Dutch Courage - Couple her excellent concealment with one of the sturdiest health pools of her tier, and T-61 can confidently take the road less sailed: contesting caps and scouting behind enemy lines. Frenzied Fish - T-61 is decked out with a deadly set of eight fast torpedoes with a good range, high damage, and a lightning-fast 68 second reload time. Combine this with the signature German Hydroacoustic Search consumable and enjoy lording over caps. T-61's four 128 mm guns pack a punch thanks to their fast reload rate and deadly German AP shells. 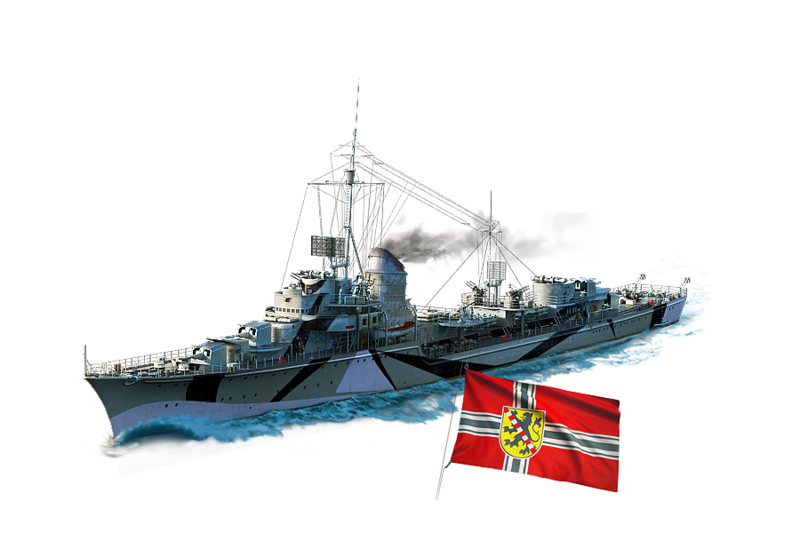 Your German Smoke Generator may not be all that, but taking full advantage of your fast torpedoes, good concealment, and Hydroacoustic Search , clearing out and claiming enemy smoke screens can be a viable option. A competitive main battery combined with devastating torpedoes make for a great all-rounder of a ship.